-Want To Boost Your Credit Score? Spend On Business Cards Instead Of Consumer Cards. It’s Tuesday and as promised here are the new offer links for the Chase Ink cards. If any of the links below aren’t working you can try opening them in a different browser, or browsing incognito. This is always a good strategy when a card offer says expired or unavailable as often it’s just a browser cookie issue. In IE and Firefox you can access this mode by holding down Ctrl, Shift, and P buttons on your keyboard. In Chrome you can access this mode by holding down Ctrl, Shift, and N. Then just return to DansDeals.com and click on the card offer you want and it should work for you. -Chase Ink Bold and Chase Ink Plus now give 50,000 points each for spending just $5,000 in 3 months. This is down from $10,000. –Chase Ink Classic and Chase Ink Cash now give 20,000 points each for spending $3,000 in 3 months. You can read more about these cards and their perks (lounge passes, etc) in the related links at the top of this post. Bonus point categories include 5 points per dollar on telecom/cell phones, cable, internet, and office supply stores and 2 points per dollar on gas and lodging or dining on the Ink Cash card. For example if Joe Smith sells items on Ebay or on Amazon, or has any other side business/hobby and wants a credit card to better keep track of business expenditures he can just open a business credit card for “Joe Smith Sole Proprietorship” as the business name. You don’t need to file any messy government paperwork to be allowed to do that. I’ve had business cards since I turned 18 as a Sole Proprietor and never had a problem getting approved with reconsideration if needed. You can reach Chase business reconsideration at 800-453-9719. You can offer to move over part or all of the credit line from a consumer or business card to get a business card approved. Need help meeting a spend hurdle? Don’t forget that you send $1,000/month via your credit card to anyone for free via Amazon Payments. And they can send it back to you via their credit card or via a 3rd party who can put $1,000 on their card and send it back to you. And of course you can stock up on gift cards to stores like Amazon or just a prepaid credit card (prepaid credit cards carry a fee of about 1%) at office supply stores on Ink cards and earn 5 miles for every dollar you spend. 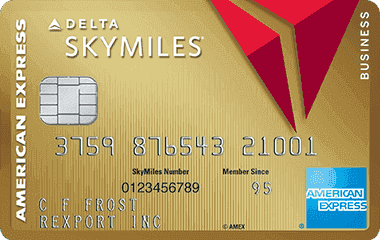 At a value of about 1.9 cents per Ultimate Rewards point that’s like a 9.5% rebate. Office supply stores like Office Max, Office Depot, and Staples all have large gift card sections and they even have occasional weekly promotions to buy gift cards, so check your Sunday circulars as they make it a cinch to meet a spending threshold. When you buy $5,000 worth of gift cards or prepaid credit cards from an office supply store on a new Ink Bold or Ink Plus card you’ll have a whopping 75,00 points (50,000 points from the signup bonus and 25,000 points from the office spending.) 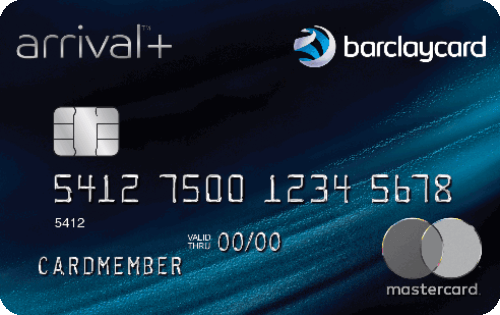 Coupled with bonus rebates on gift cards and finding ways to liquidate them for free like with Amazon or Bluebird it can all get pretty addictive. Don’t have the money right now to pay off all those gift cards that you’re stocking up on to meet a spending threshold? Obviously don’t spend more than your needs, but all of the Ink cards besides the Bold card have 6 months of 0% interest on purchases (and balance transfers) and as a business card that balance won’t even show up on your credit report, so it won’t hurt you like it would on a consumer card! Just be sure that you’ll have the funds to cover your purchases in 6 months before they start charging interest. And of course you will have to make the minimum payments as well. Also bear in mind that places like Plastic Jungle and CardPool will buy gift cards off of you. People also buy and sell gift cards on the DDF Goods For Sale board. 39 Comments On "Updated Chase Ink Offers"
Hi Dan. Can I apply for ink bold and ink plus at the same time? how long do you need to wait between cards to be eligible for the amex premier gold card offer again? Can I do a 3BM for the Bold, Plus and Classic or are they considered the same item? hey dan, do you recommend the plus or the bold for a first time business card with chase? Got declined 🙁 any advice? is the bold or the plus easier to get approved? The Bold is a charge card and the Plus is a credit card. Tell Recon you would like one of each if they ask why you want both. Officially they say a year, though I received the bonus on that card in July and again in October. Yes, I just did a business 3BM. $200 cash back is in the form of 20K points. No real difference. The advantage of Plus is 6 months of no interest. It may come through as 2 pulls, but it still can be done. Call Recon. 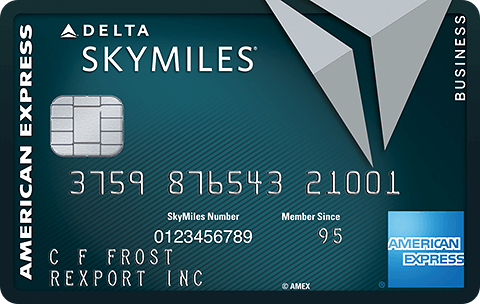 Do you have other Chase cards you can move over part of the credit limit or close to get this approved? hey dan, i got the bold 2 months ago, you think i can sm them for the lower spend ? Sure. Even if they say no send back another SM that you want a supervisor to look it over. Generally opening, closing, and opening the same card. This is the current offer. How long it will last is anyone’s guess! Okay, so I got both the Ink Bold and Ink Plus, my Bluebird card arrived today, and wouldnt you know it, Vanilla Reloads are NOWHERE to be found around here! At least anywhere you can buy them for credit. Vanilla Reloads are still just now arriving into CVS stores nationwide, just keep on checking. As well as Amazon payments or even buying store gift cards from office supply stores to sell to places like Cardpool or use yourself while earning 5 points per dollar and meeting spend thresholds. Thanks Dan!! If I get denied, will the reconsideration allow to shift credit line from personal to business in order to get approved? Yes, just did that myself. Chase reconsideration is the best! 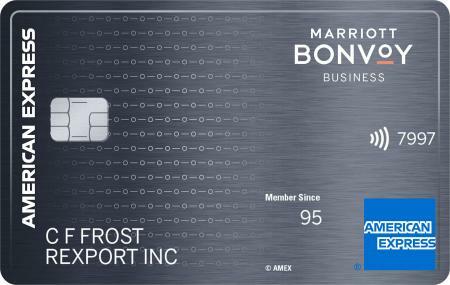 “6 months of 0% interest on purchases (and balance transfers)” can you balance transfer from consumer cards to this business card? Yes, but you will pay a 3% BT fee. But interest is 0% for 6 months. It would definitely help your score. I did my first AOR in September which includes a couple of personal Chase cards. Do I have to wait before I can apply for biz cards? or are they on different cycles? would it not look suspicious if you close the bold card and then apply again rite away ? how long should i wait? R they still matching the 60k ink offer which i got back in june? There is no hard timeframe. If you move all the credit it would close it. However you can shift everything but $500 to leave it open. Try and let us know! Not if you’re willing to negotiate. Can they close personal cards in order to open business cards? What would stop someone from being approved for an unlimited amount of business cards. If ones personal credit is not an issue, what is? If I shift some of my credit from personal cards to the business ones, doesn’t that lower my credit score? I thought my business lines of credit don’t count towards my personal score. So if I move them out of my personal cards, my overall credit limit goes down and thus my score. Right? Or am I missing something? I tried calling recon and they declined me because my business is to new and not making enough money yet, is it worth trying to call again that they should but from my other card? Dan,do u recommend calling to reconsider while they r deciding or should I wait for a answer first? I just got my ink bold today, and I called to have them change my bonus to 50k for $5,000 in 3 months. And they said there is no such offer and that they are aware of several websites touting such an offer but it is a mistake. Are they a)being stingy with me, b)lying or c)misinformed. (have you been able to confirm this offer over the phone). I was turned down for amex gold buisness on an llc and then got it upon further manual review.I want to now go for a 3bm with 2 buisness cards on my ss#(starwoods and delta)and one personal(starwoods).Please advise. Also i want to go for chase buisness on my ss# and personal.Should I wait on amex or does it not make a difference? Any advice on raising the amount amex will approve on business spending? In terms of getting gift cards, and selling them on those websites above, what cards tend to be the most valuable ? For a purchase of $1000 @ CVS, which card should I use? Sapphire Preferred, Freedom, or Ink Bold. Update: I called again and spoke to a different rep and they matched the offer no problem. Dan, can I buy a $500 My Vanilla card from CVS on CC, then withdraw the $500 from an ATM machine in the same store? Can you please advise with a post about this or just a short way to spend $$ on a CC like I do with Amazon Payments? Thanks!